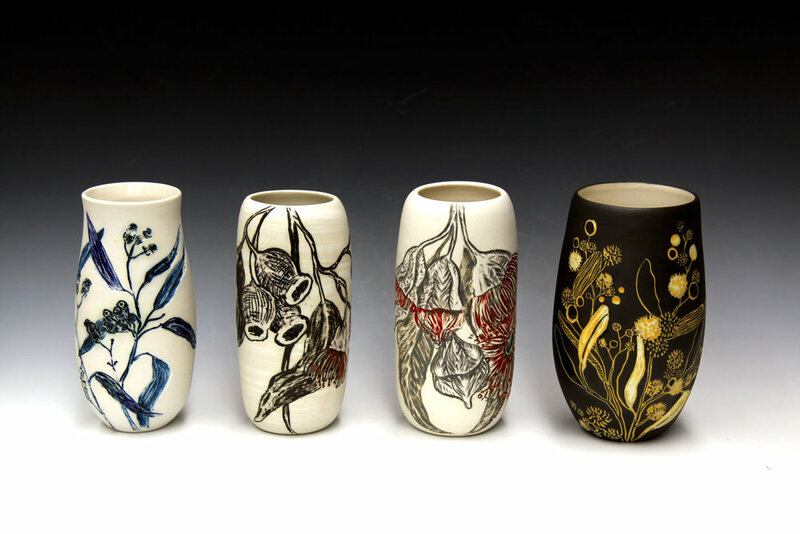 Unique Australian inspired vessels crafted in my home studio in WA. 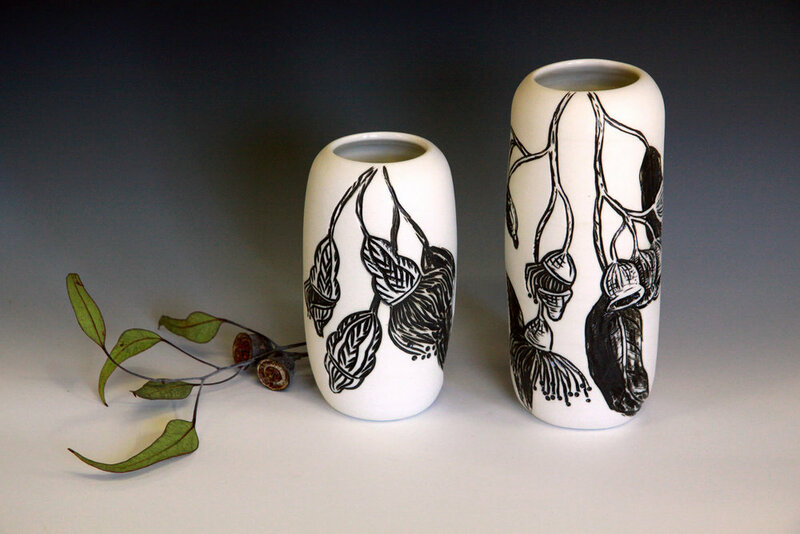 Stunning contrasting vases featuring Golden Wattle flowers. Inspired by our unique Australian Flora. Double sided, black and white on one side with an orange and red glaze wash inlayed into carving on the front side. Inspired by our unique Australian Flora. 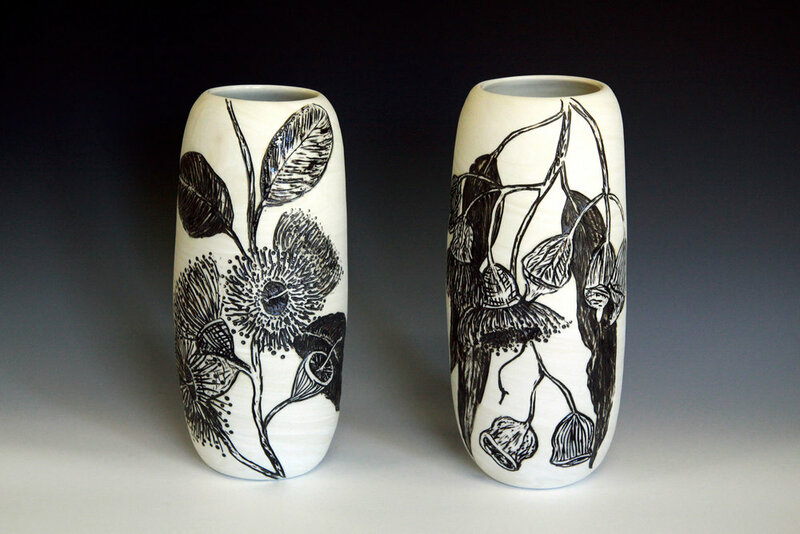 Double sided, black and white on one side with a red glaze wash inlayed into carving on the other. Inspired by our unique Australian Flora. Double sided, black and white on one side with an orange and red glaze wash inlayed into carving on the back. 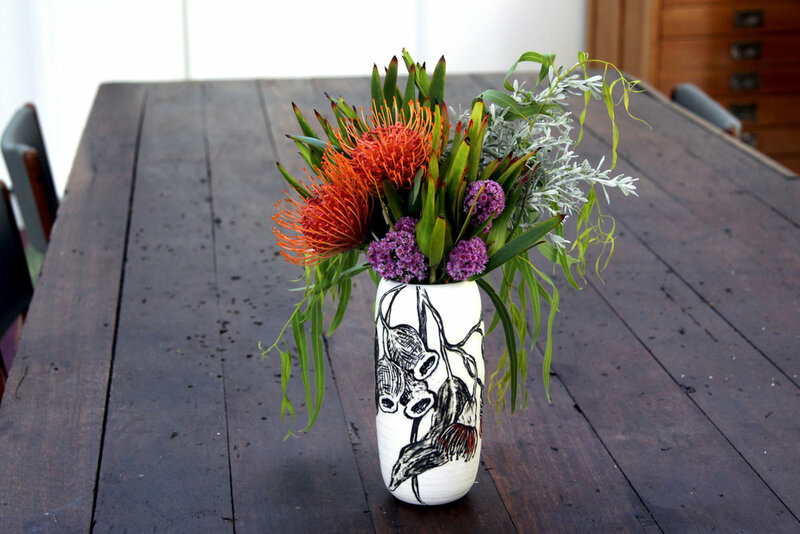 Inspired by our unique Australian Flora this vase has a Banksia design carved and wrapped around the piece. 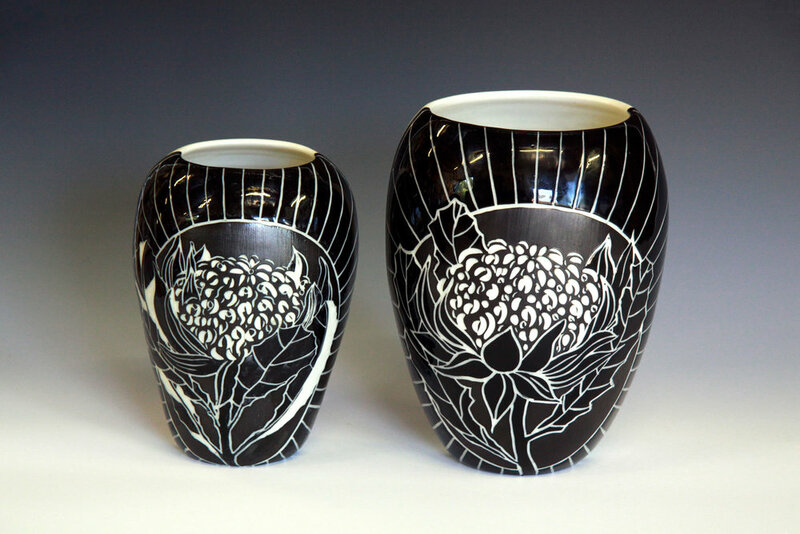 Sgraffito carving into black slip with clear glaze highlights.